Farmers Steve and Karen Fennell have always believed in the statement “you are what you eat”. Happy Earth Farm is dedicated to providing you with the freshest products in the purest fashion. We don’t use pesticides, herbicides or any other “cides”! We grow our crops and raise our chickens the old fashioned way: using our own organic compost, providing unadulterated feed and offering up plenty of fresh air and sunshine. We began this journey as a way of ensuring that we were eating as wholesomely and cleanly as possible. We offer to you what we feed our children and grandchildren: fresh, natural and healthy alternatives to store-bought fare. “Nothing but Natural”. Happy Earth Farm is dedicated to providing the very best quality by following all organic growing practices. We also believe in setting the highest standards possible with every animal raised on our farm. Happy Earth Farm is located at 1266 Old Graniteville Highway in Aiken SC. We are big enough to provide variety, but small enough to manage it on our own. We do not keep regular farm store hours, but welcome a phone call or email to let us know you wish to stop by. 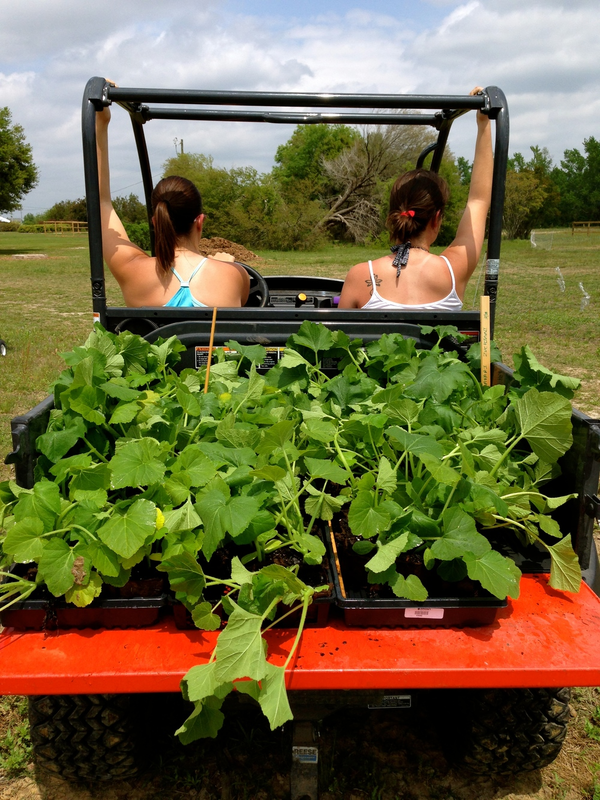 You can place your orders for farm pick-up or just let us know you wish to tour the farm! You can also purchase Happy Earth Farm veggies, eggs, chickens and specialty goods at The Soda City Farmer's Market every Saturday from 9:00-1:00. 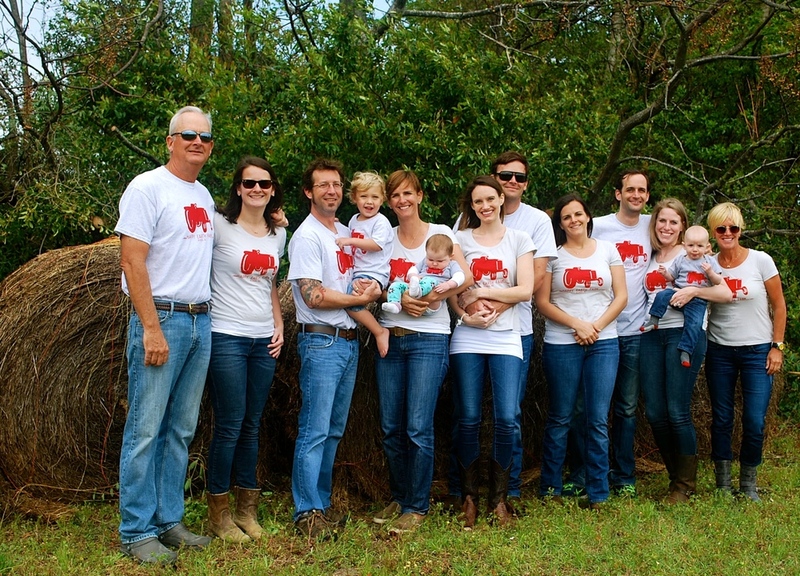 Farming is a family passion, so it is not unusual to find all of our children, their spouses and our grandchildren enjoying their "vacations" right beside us in the fields. 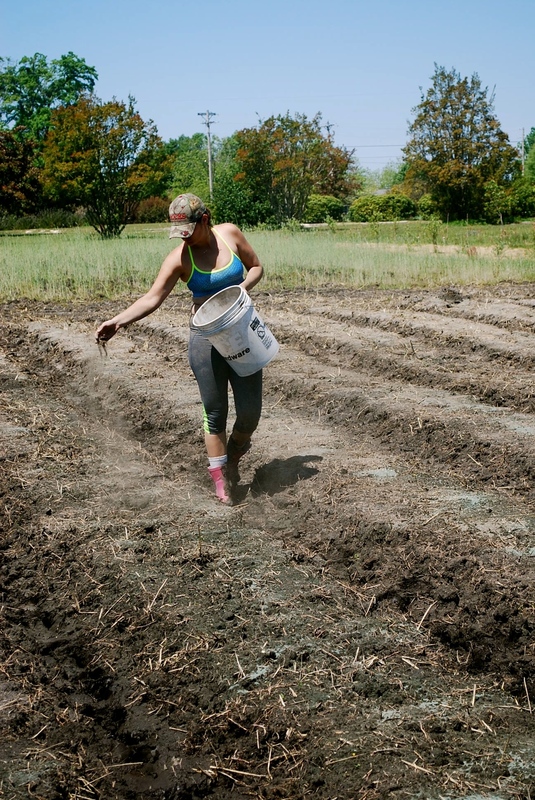 Happy Earth Farm uses only organic, non-GMO seeds. We begin some crops in the greenhouse before transplanting outdoors or we direct seed right out in the planting fields.